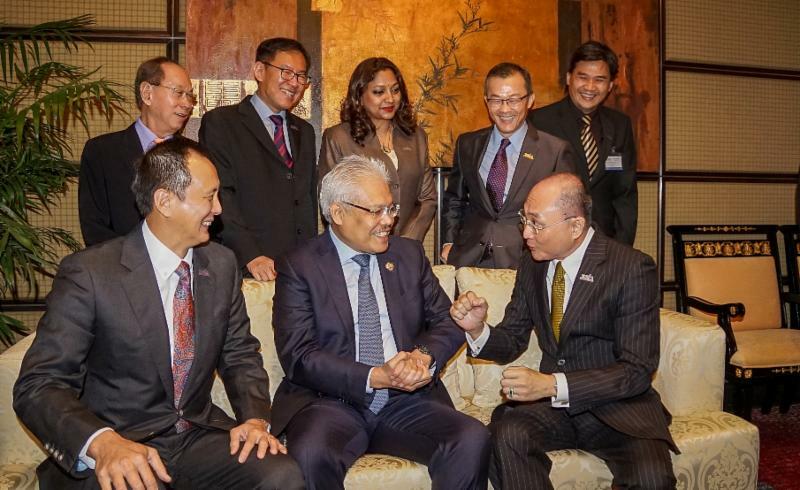 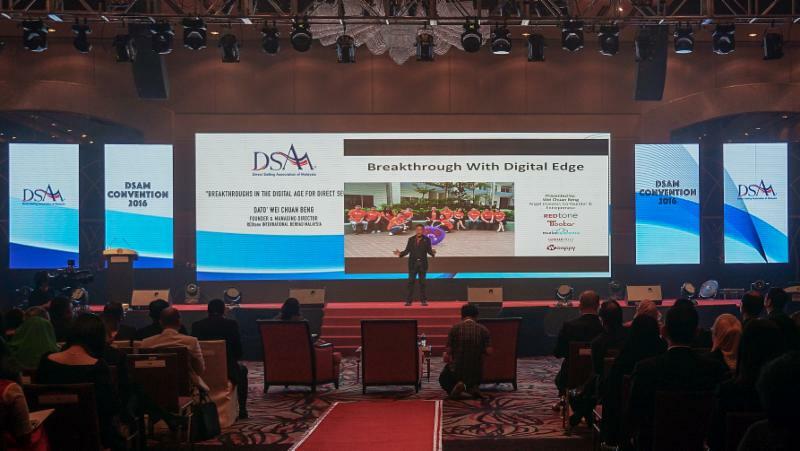 The DSAM Convention 2016 was officiated by YB Dato’ Seri Hamzah Bin Zainudin, Minister of Domestic Trade, Co-Operatives and Consumerism on 13th October 2016. 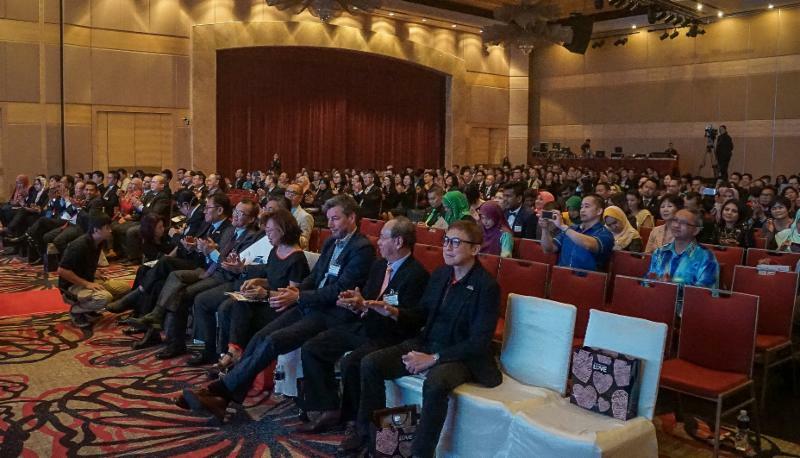 This year’s event themed ‘Beyond our Shores’, was attended by more than 400 participants from local and multinational Direct Selling companies. 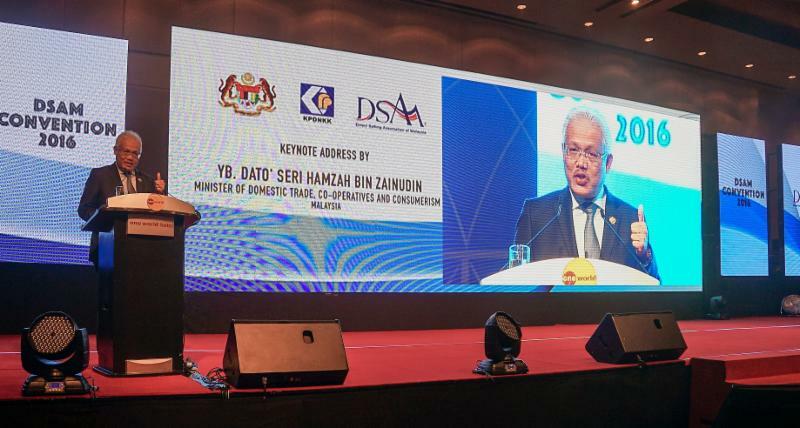 Dato’ Seri Hamzah delivering his key-note address. 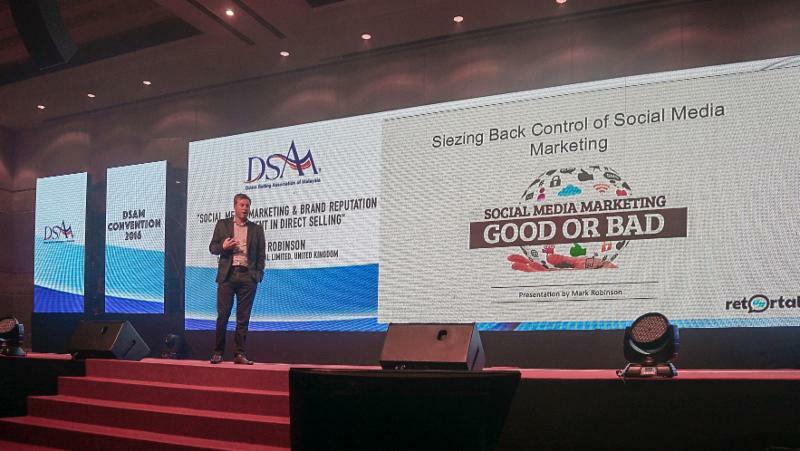 The main focus of the Convention was to equip Direct Selling companies to expand abroad, not only physically, but also through the latest technological innovations such as Social Media, etc. 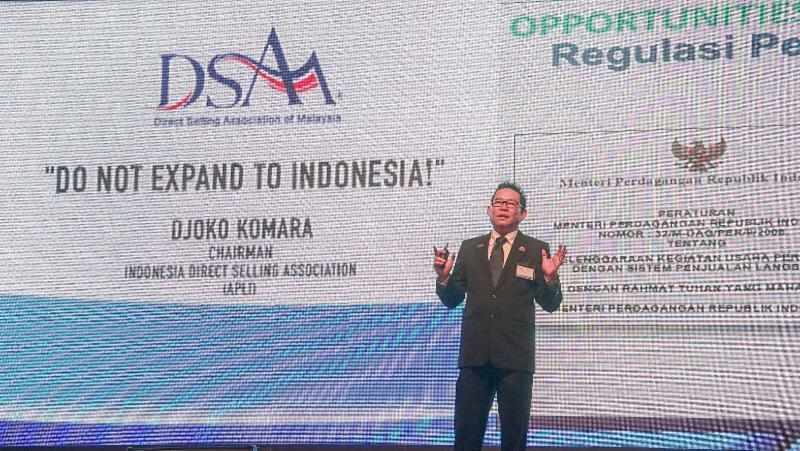 Among the informative and thought provoking topics presented were ‘Breakthroughs in the Digital Age for Direct Selling’ by Dato’ Wei Chuan Beng, Founder and Managing Director of REDtone International Bhd; ‘Do not expand into Indonesia’ by Mr Djoko Komara Chairman of Indonesian Direct Selling Association (APLI); ‘Social Media Marketing & Brand Reputation Management in Direct Selling’ by Mr Mark Robinson, Director of Retortal Limited, United Kingdom; and ‘Branding your Direct Selling company’ by Datuk Eric Chong, President of Branding Association of Malaysia. 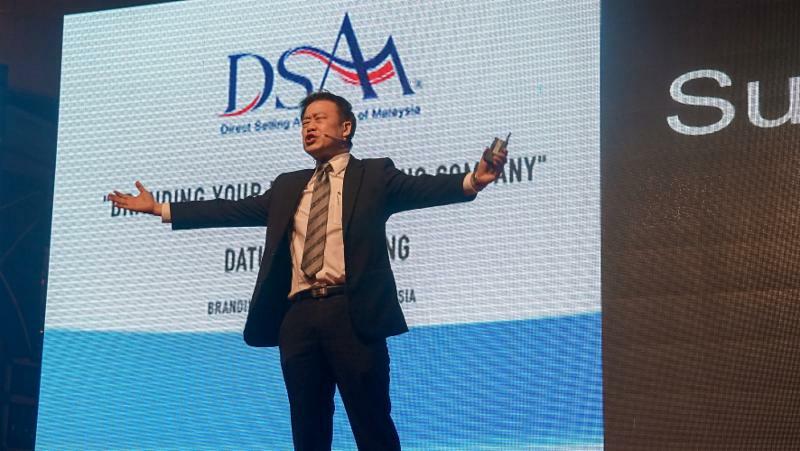 The Convention ended with the DSAM Entrepreneur Recognition Awards. 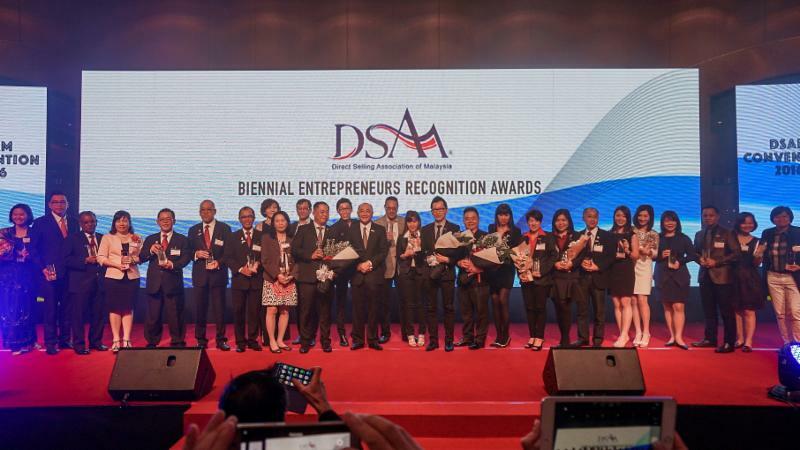 This Award recognizes the achievements of the top three Entrepreneurs from each of the Association’s 80 Member companies.